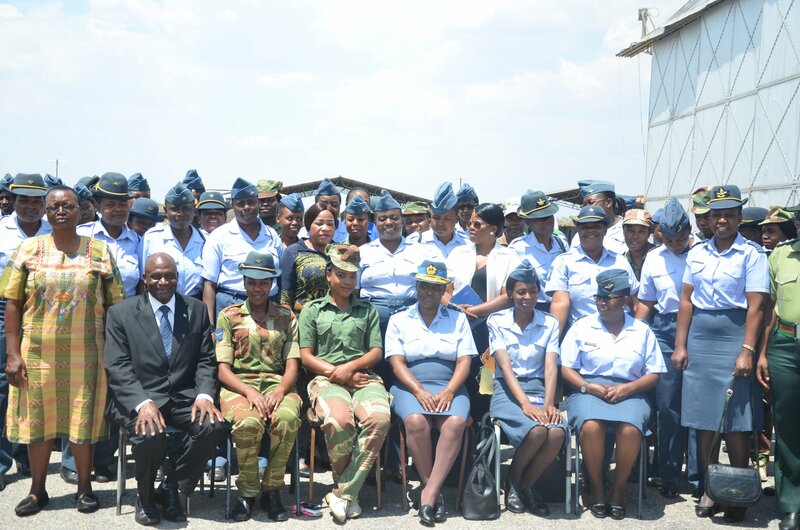 “Two-thirds of the world presidents are brought up by single women and the best thing that has ever happened to humanity is having a woman; Having a lady in uniform means that we are in safe hands,” Mr Chikanda said this during a Professional Grooming, Hygiene and Deportment gratis presentation for the Air Force of Zimbabwe female Officers on 6 November 2018 at the Manyame Air Base, Harare. In his presentation, Mr Chikanda said that the female officers deserve respect because they look after us doing ‘national service’ and at home as well. Mr Chikanda highlighted that as ladies in uniform, they no longer have a private life, the way they live with their families and in public will reflect the image of the Airforce of Zimbabwe. It was in this regard that the presentation covered issues of grooming and deportment, physical and spiritual hygiene and dress. The officers spend two-thirds of their time at work and if they do not live well with others they would have destroyed the ‘Force’. Mr Chikanda advised the officers to be professional and remain steadfast in defending the national flag and Zimbabwe’s sovereignty. The presentation also covered topics on the essence of confidentiality, professional attire for the ladies in uniform, good diet, exercises, physical fitness, hygiene, deportment and carriage. It also covered issues of mannerisms and behavior, wardrobe planning and accessories for ladies, hair and makeup tips, how to be a professional lady, making great first Impressions and dress codes and etiquette for the civil service. A neat and well-groomed soldier is a foundation to the Army and contributes to an effective Air Force. Zimbabwe is in good hands with the women in uniform.